SHANGHAI: With more than 20 percent of the city's population now aged over 60, the municipal government is stepping up efforts to support its rapidly aging citizens. Zhou Taitong, vice-mayor of Shanghai, said yesterday that the government will increase spending on its social security system, including pensions and healthcare, and develop other support services. Shanghai boasts the country's fastest growing population of over-60s. At the end of 2006, 2.76 million (20.2 percent) of its 13.68 million official residents were aged 60 or above. The figure was up 92,500 (3.5 percent) on the previous year. However, the highest rate of growth is among the city's most senior citizens. In 2006, 30,100 people were added to the over-80s population, and 80 to the 100+ club. These figures represent year-on-year growth of 6.9 percent and 13.3 percent, respectively. Meanwhile, the number of people of working age - 15 to 59 - has been in decline as a result of the national policy of one couple, one child, Gui Shixun, a professor of demographics at Shanghai Normal University, said. Shanghai has 9.8 million people of working age, slightly more than three-and-a-half times the number of those aged over 60. However, Gui said that over the next 10 years, the working population will decrease by about 1.5 million and the number of over-60s will continue to grow. This will put increasing pressure on the city's "workers" who support not only the aged population, but also the city's social welfare and support facilities, he said. 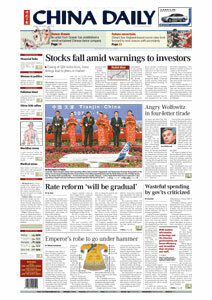 Gui said that the rate of growth in the number of Shanghai's over-60s will be even higher between 2010 and 2020. "By 2020, the aged population will account for 25 to 33 percent of the city's total," he said. "The more old people a city has, the greater the need for pension and medical funds, which puts even more pressure on the dwindling number of workers," Gui said. With its aged population in rapid ascent, Shanghai has introduced a number of measures to address the situation. According to statistics from civil affairs bureau, 97.6 percent of the aged population has pension coverage and in last year the value of pensions and aid were increased. The municipal government had previously said it would add 10,000 hospital beds for the aged each year. At the end of 2006, there were 60,000 such beds in the city. Neighborhood clinics currently provide care and treatment for 105,000 aged people living in their own homes, while the number of rest homes in the city last year rose to 505. "But the aging population could outgrow the facilities available unless more efforts are made," Gui said. The government has promised to make more money available. Zhou said: "Shanghai will keep increasing the standard of its pensions and aid and will provide for those who retire early due to ill health. "By 2010, there will be 100,000 hospital beds for aged people and 250,000 more will be added to the home-care system. Also, 93 percent of all people aged over 60 will have proper medical records. "By 2010, there will also be a cultural or entertainment facility geared to people aged over 60 within a 500-m walk of the downtown area," Zhou said.